Dorothy,Scarecrow,Tin Man and the cowardly Lion. 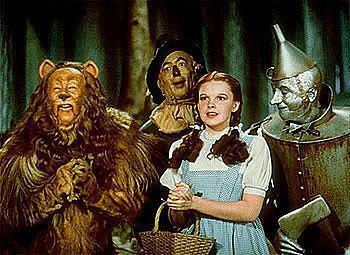 Dorothy,Scarecrow,Tin Man and The cowardly lion in the 1939 classic film The Wizard of Oz. Wallpaper and background images in the The Wizard of Oz club tagged: the wizard of oz dorothy scarecrow tin man lion classic film image.